Purchase wide range of products at discounted price. 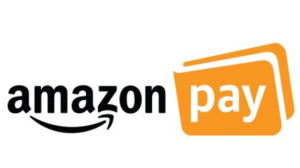 Currently Amazon is giving flat Rs.400 Amazon Pay cashback on loading Rs.5000 or more in your account. Load now and use it for the upcoming sale or make other payments, recharges and more !! 5) Done !! 🙂 Cashback of Rs.400 will be credited as Amazon pay balance in 3 days. Load Amazon Pay balance above Rs.5000 and get Rs.400 cashback per customer during the offer period. The Offer is only applicable for a minimum of Rs.5000 transaction.